Christian Gurtner has appeared with a multitude of renowned ensembles throughout Europe, South America, Asia and the U.S. Numerous CD- and broadcast-recordings, lastly the flute concerts by W.F. Bach und C.P.E. Bach. Study of transverse flute at the Bruckner Conservatory in Linz and at the Vienna Academy of Music. Concert diploma with distinction in 1986. Pupil at the Linz music secondary school and prizewinner at "Jugend musiziert" youth competitions in 1979 and 1981. Intensive occupation with historical performance practice and its instrumentarium beginning in 1981. 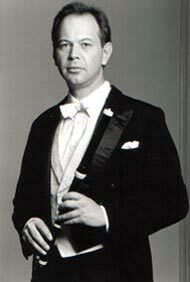 Performance as first flutist with numerous ensembles since 1985, including the Wiener Akademie, Concentus Musicus Wien, Clemencic Consort, Salzburg Baroque Ensemble, Concerto Armonico of Budapest, Ars Antiqua Austria, Freiburg Baroque Orchestra, and Orchestre des Champs Élysées of Paris (Philippe Herreweghe). Founder of the Wiener Akademie together with Martin Haselböck, with his many years of chamber concertizing with Haselböck also documented on CD. Solo appearances at the Vienna Festival Weeks, Styriarte in Graz, Jaffa-Festival, Handel Festival in Göttingen, and Bach Days in Berlin. Debut with Mozart´s flute concertos in the Großer Musikverein, at the Bregenz Festival, Upper Austrian Cloister Concerts, and Schleswig-Holstein Music Festival and at Suntory-hall in Tokyo and Izumi hall in Osaka. Concerts throughout Europe and in the United States, Japan, Cuba, Lebanon, Chile, Africa, and Asia. Radio and television productions as well as CD releases for Novalis, Capriccio and Chesky Records with works by Bach, Vivaldi, Telemann, Händel and Mozart. Recording of solo and chamber works by Mozart and Hummel with Tamas Varga, cello, and Manon-Liu Winter, piano (Cavalli). 2002 first recording of flute concertos by C. Ph. E. and W. Fr. Bach (CPO).